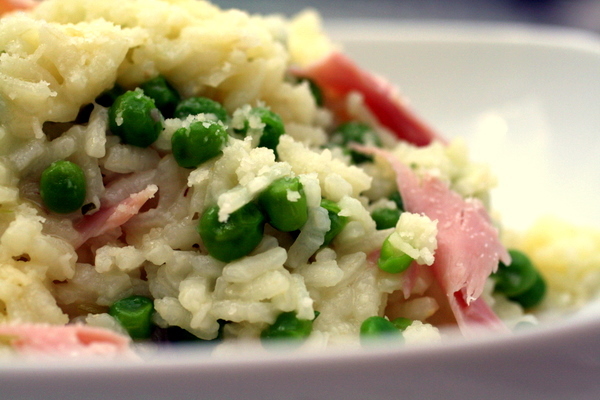 a rice dish for a princess…. The princess is 3 this Monday, I can’t believe it. I started this blog when I was on maternity leave when she was a couple of months old to save me from the loneliness I felt being at home on my own with a new baby. I found it quite hard as I was so used to going to work everyday meeting lots of people and basically talking all day long about food so this little blog became my outlet to do that from home. I’ve found it more difficult to keep it updated now as she doesn’t sleep during the day anymore and that used to be me and my blog time. Despite my best efforts to feed her the best food possible since she was born, never using a jar, no chocolate until she was about 14 months etc she is a complete nightmare when it comes to eating. She has no appetite which will probably be great when she’s 15 and wants to be a supermodel and she refuses point blank to eat a vegetable in it’s natural form, the only way I can get veg into her is through soup and pasta. She is a chocoholic and is constantly looking for her next fix, she loves chips and ketchup and her new thing is a “cuppa tea” and biscuits, this is obviously from her Irish grandparents. Her Italian grandparents introduced her to a drop of espresso with 7up and a spoon of sugar in an espresso cup. (aghhhhhhh). She’s very healthy though and rarely sick so I don’t worry about it too much and never force her to eat. 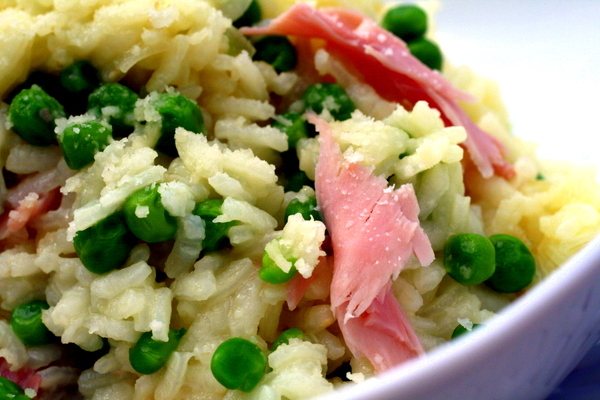 2 slices of Italian cooked ham chopped. bring a pot of water to the boil, add salt, rice and your stock cube and cook for about 15-18 mins until tender. Add your peas half way. heat your oil and butter in a pan, add your onion and garlic and cook for about 10-15 mins until softened but not coloured. Add your ham and cook for 1 minute. drain your rice and reserve some of the cooking water. add your rice, peas and parmesan to your pan and toss for a couple of mins. Add some of the water if dry. serve with lots of parmesan on top. Wonderful story. And a great recipe! Happy Birthday to the princess on Monday! My 3 year old princess when asked what she wants to eat will answer either “chicken and rice” or “samajes with ham and cheese and butter” so I’ll definitely try out this recipe on her! I hope to try your recipe for our mid-week supper – sounds perfect. Mind you as we eat rice, she’ll be eating yoghurt! !